Simla, now known as Shimla, is undoubtedly one of the most popular tourist destination for Indians and it has been the same since umpteen numbers of years. Simla, not only attracts the domestic Indian tourists, but also foreign nationals and what attracts them is the beauty of the city and the vast cultural and historic heritage that it carries. The Simla Paintings and Other Stories is a book written by Rita Joshi which has 6 short stories out of which one is written in rhyming couplets. These short stories revolve around women of different era and how they all have similarities among them, the battle and the victory, the misfortune and anguish that they go through. The cover design is as beautiful as Shimla is and when you have read the book you can very much relate to the cover. 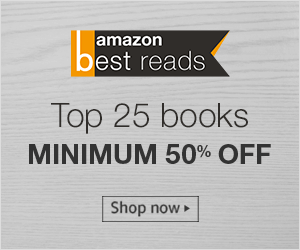 These stories are set in the colonial India and the modern day Delhi and yet they find a connect and relates to their encounter of complications. These stories, talk about some serious issues which were prevalent in the society until they were outlawed several years back. The stories talk about the desires of women and their ambitions which clash with the identity and the society, breaking the norms and meeting the expectations. The first story, "The Simla Paintings", is a visual treat to the imagination. It will make you go back to the colonial era and maneuver through different aspects of beauty in the form of art, love and surroundings. The second story, "The Goddess", is about the popular yet unpopular life of girl child first being worshiped as the goddess Narirani and then being sold by their own family. The third story, "Curtain Call", is about an actress who was praised for her performances as an artist until everything she thought she possessed from love to fame, from art to money was lost. The fourth story, "The Case of the Missing Necklace", is about the boasting of wealth, longing for a status in society and the need for money. The fifth story, "Driving Through Delhi One Evening" is about different women in different situation and the revelations, their stories and the perceptions of life. It was like stories within stories. The sixth and the last one, "The Awakening", is a novella written in rhyming couplets and is one of the things that I liked the most. It was a story, but felt like a poem. 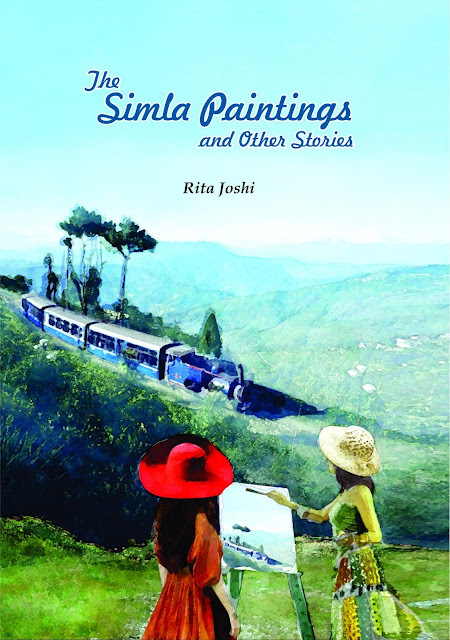 The author of The Simla Paintings and Other Stories, Rita Joshi, has kept the overall tonality of the book very simple and I guess that is what will make the author impart her message to almost everyone reading it. I would recommend this book to anyone who loves reading short stories. Nicely reviewed. I love the cover! The book cover is indeed beautiful. Will look up for this book. Do share your thoughts here, Thank you!